Though Halloween is several weeks away, now is the time to start thinking about the fantastic, spooky, and unforgettable Halloween events unique to Las Vegas. Given the popularity of these events, the ones that require RSVPs or tickets in advance can get filled up pretty quickly; plus, if you plan in advance, you’re more likely to get better deals on hotels. Halloween Parade (10/31 starting at 7 pm): Come in costume for a wild and fun night, with activities for people of all ages and live music, floats, and a block party. There’s also a costume contest with cash prizes, divided into different categories including best children’s costume, most outrageous costume, and best group costume. Fun Halloween-appropriate shows: On the weekend before or immediately after Halloween, check out Evil Dead: The Musical, a comedy-horror show that calls on famous horror films for its inspiration. Or enjoy the thrilling illusions of magician David Copperfield, who’s giving shows on the eve of Halloween, among other days. Spooky exhibits: Chance a visit to the Goreatorium, a hotel turned into a haunted house where you wander through a maze of rooms and hallways, not knowing what’s waiting around the corner… or what’s going to jump out at you when you least expect it. (And if you’re in a darkly romantic mood, you can even have your wedding there…). Or if you want to step into the shoes of a criminal investigator poring over disturbing clues to a murder, head over to the MGM grand for CSI: The Experience, based on the popular TV show. Ghost tours: These include Haunted Vegas Tours, considered one of America’s top 10 tours of creepy sites where ghosts have supposedly been spotted. This is just a taste of what you can do on and around Halloween in Las Vegas. Many hotels host their own Halloween parties, not to mention the wild events sponsored by the city’s top nightclubs. Find out firsthand why so many people think Las Vegas is a treat to visit during Halloween. 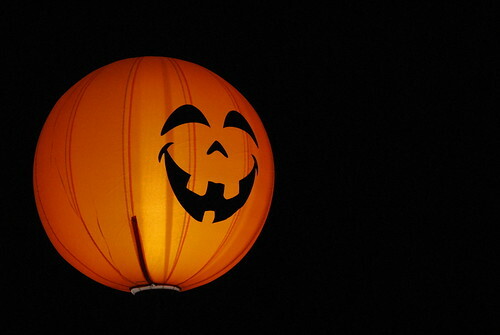 This entry was posted in Events, Limousine Transportation, Locals and tagged Halloween, las vegas travel, locals, party, tourism, vacation by AWG. Bookmark the permalink.